Corporate moves towards focused production and outsourcing, governmental reforms involving privatization and deregulation and the globalization of trade and investments promise large efficiency gains. However, the necessary coordination mechanisms call for regulatory approval and policy guidelines to safeguard these undertakings against abuse, which in turn are held up against the test of administrative efficiency and global regulatory competition. The question is: what standard will ultimately inspire policy, satisfy administration and be acceptable to parties inside and outside of a given commercial and economic arrangement? 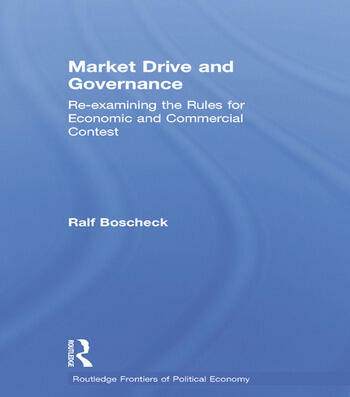 Ralf Boscheck looks to the various approaches of institutional and constitutional economics to complement traditional market models in shaping policies to govern increasingly complex market conditions. This book clarifies, integrates and applies diverse perspectives to salient issues of governance and presents them in an accessible manner. It will be an invaluable contribution to this field.